Radost (Rejoicing) Lounge – it’s the place where you will be happy. This is the pizza cabaret and disco grill. Taste some of the finest pastas prepared by experienced chef, or maybe you would prefer T-Bone steak, lamb and veal chops or pork meat with sage among other meals. Wine card is made in cooperation with Wine Art where, both domestic and international wines can be found. 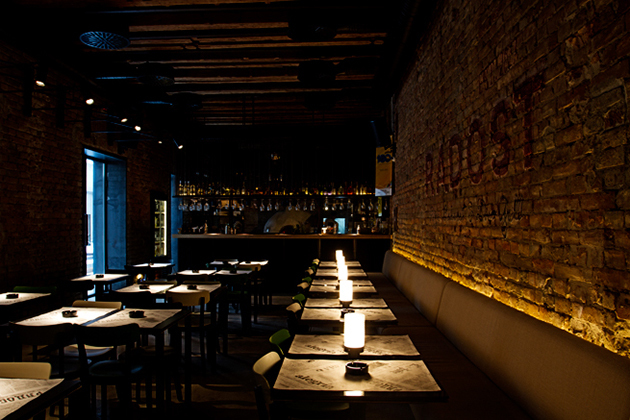 Brick and metal are fabrics that are dominant inside Radost. This nicely decorated and stylish lounge can accommodate 70 people. Also, it features summer garden which can accommodate additional 60 people in summer, where summer gigs will be held. Radost is a fantastic place to spend you free time and enjoy delicious food. Place where you will find joy!